This was just an embarrassment. A desperate, name dropping, excruciatingly out-dated cringe-athon. You would think Tilda could have saved it, by her mere Swintonian presence. Alas, not even Tilda could salvage the hot sour wind belching forth from this wretched and cliched construct. I have seen fresher and more timely projects this year, such as Spiderman Again!, X-Men Again!, The Purge Again! and NBC’s inexplicable last-ditch “Hollywood Game Nite!” I could have spent ten dollars on something less awful and outdated, like a pair of earrings with feathers on them, or a tribal armband tattoo. Jim, I’m not mad. 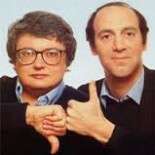 But I am disappointed. Skip this heroin-chic monster trash and go see one of Jim’s masterworks-Broken Flowers, which is currently on Netflix streaming. 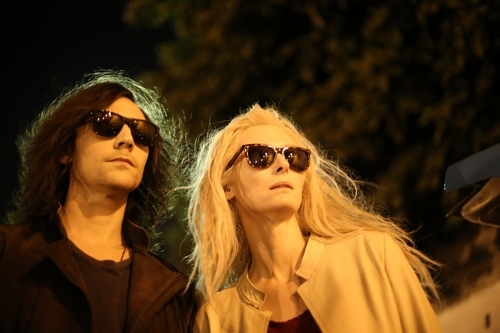 This entry was posted on June 22, 2014 by reeper4409 in 2014 Movies and tagged Jim Jarmusch, John Hurt, Mia Wasikowska, Only Lovers Left Alive, Tilda Swinton, Tom Hiddleston.